This book is divided into three sections. The first section introduces one specific tradition of Siddhas transmitted by artists from Nepal. This artistic legacy, which is related to a corpus of texts that go back through *Srisena and Bu ston, includes two paintings and an incomplete set of line drawings. One of the paintings is an early-sixteenth-century „paubha“ of Vajradhara surrounded by the eighty-four Siddhas (now preserved in the National Art Gallery, Bhaktapur). The set of line drawings of originally all eighty-four Siddhas (now in the Los Angeles County Museum of Art) goes back to the seventeenth century. On the basis of a comparison of the portraits of the eighty-four Siddhas in the painting from Bhaktapur (which provides the Siddhas’ names) and the line drawing (which also label the Siddhas) it is suggested that the eighty-two Siddhas surrounding the Siddha Virupa in the other Nepalese painting, from the second quarter of the thirteenth century, which is now part of the Kronos Collections of S.M. Kossak, New York, are part of the same tradition. The Siddhas in this well-known and frequently reproduced painting have so far remained unidentified since their names are not inscribed in the painting. The second section of the book focuses on lesser known manifestations of (Cakra)samvara, a form of Heruka, and includes a discussion and reproduction of images of two groups of Samvaras. The first document is a painted scroll showing the group of sixty-four Samvaras with their consorts; the second one is a set of line drawings of what appears to be another group of Samvaras (thirty-six in number) with their consorts. The last section presents a set of line drawings which is based on a section of the „parikramavidhi“ found in chapter 6 of Kuladatta’s Kriyasamgraha(panjika). This text is an important Tantric manual which has been particularly influential in Nepal and whose author may even have been of Nepalese origin. The set of line drawings, which dates from approximately the eighteenth century, illustrates the ritual of walking around the site of a mandala. 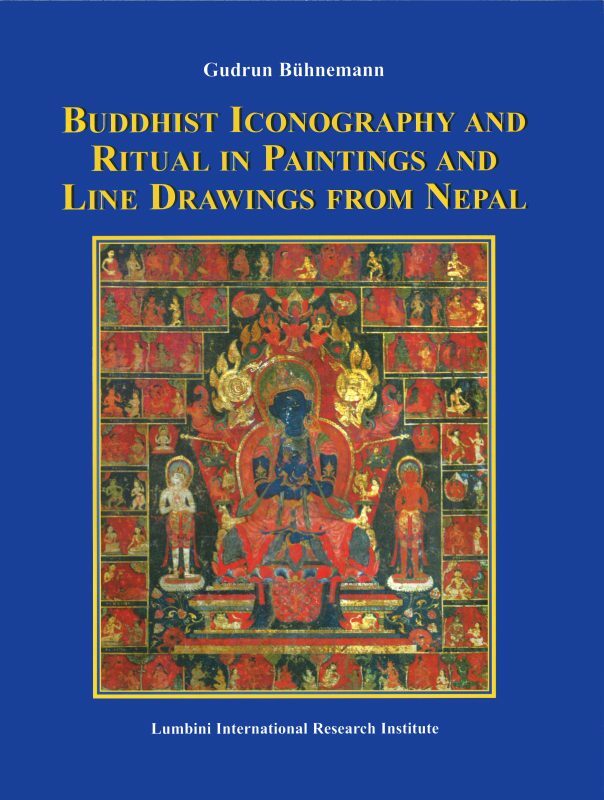 The line drawings are of great interest for the study of Buddhist ritual, since they illustrate a large number of stances, sitting postures and hand gestures described in the Kriyasamgraha(panjika) but whose names are nor recorded in standard reference works on iconography. Gudrun Bühnemann is Professor in the Department of Languages and Cultures of Asia at The University of Wiconsin-Madison. Her recent publications include „The Iconography of Hindu Tantric Deities „(2 vol., Groningen, 2000-2001), „Mandalas and Yantras in the Hindu Traditions“ (Leiden, 2003; New Delhi, 2007) and „Eighty-four Asanas in Yoga. A Survey of Traditions (with Illustrations)“ (New Delhi, 2007“.